How To Install subjack Hostile Subdomain Takeover Tool? You need have Go installed. Full details of installation and set up can be found here. -w domains.txt is your list of subdomains. 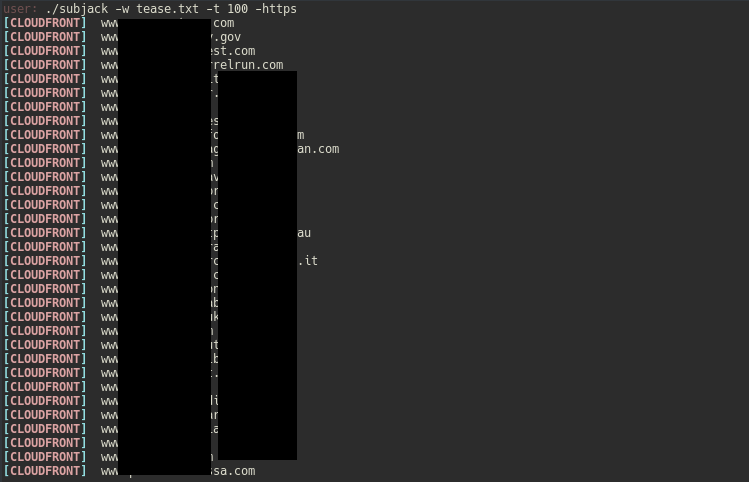 I recommend using cname.sh (included in repository) to sift through your subdomain list for ones that have CNAME records attached and use that list to optimize and speed up testing. -t is the number of threads (Default: 10 threads). -timeout is the seconds to wait before timeout connection (Default: 10 seconds). -o results.txt where to save results to (Optional). -https enforces https requests which may return a different set of results and increase accuracy (Optional).